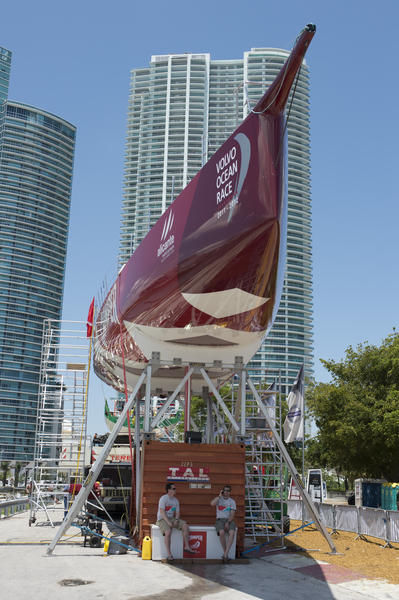 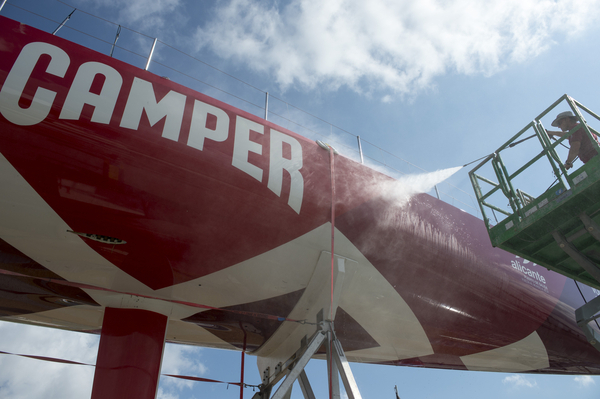 While the CAMPER sailing crew have been enjoying a well-earned rest in Miami and making the most of the sights of South Beach, there has been no such break for the CAMPER shore crew who have swung into action to knock off a substantial job list. 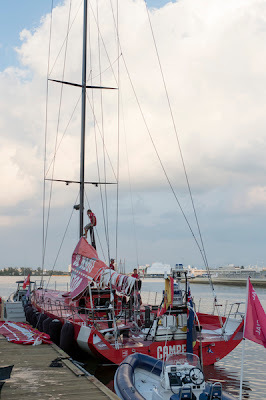 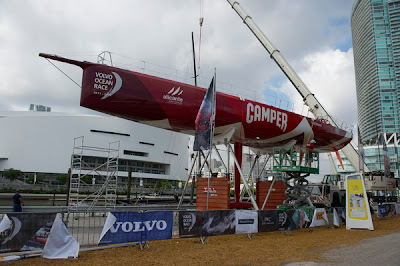 With CAMPER’s time in the last stopover (Itajai, Brazil) cut to only a few days after the detour to Puerto Montt a number of non-essential jobs were deferred until Miami, meaning that the shore crew led by Neil Cox has a busy few days ahead of them before the boat goes back into the water on Tuesday May 15. Adding to the workload CAMPER must also undergo its mandatory race weigh-in while in Miami a process that can take up to three days says Cox. 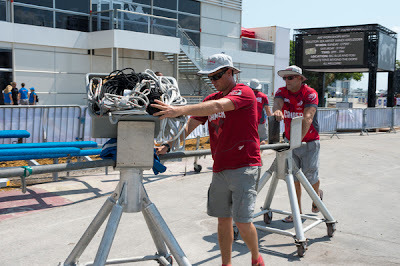 The weigh-in is due to begin today, Sunday, however the inclement weather due later this afternoon may well delay this process. Despite the long job list and limited time Cox is relishing the opportunity to get CAMPER back to 100% with so much still on the line. “Everything matters right now, to be in a position where you’re heading to Europe with four boats poised the way they are, is great. 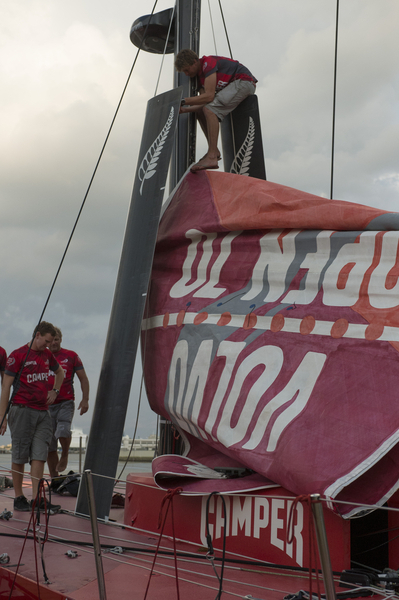 But you don’t want to not be in the best position on the racetrack because of something that happened on the shore.